You’re allowed to be angry. Yes, it’s OK to have a pity party. For those who have lived through abuse, Valentine’s Day can be a triggering holiday. After all, it feels like there are nothing but happy, smiling couples abound on this day, holding hands and celebrating their seemingly perfect relationships. This can make survivors feel more than just alone—it can breed feelings of resentment, anger or sadness. A survivor might begin to think: Why me? Why did my abuser choose me? Survivor Tashia Scott, an advocate and speaker on domestic violence, says even though it’s been almost 10 years since she left her abusive husband, Valentine’s Day is still not a good day for her. She says she’s started a tradition of going to the ocean to release her anger. Scott says that she caps off her Valentine’s Day by getting dressed up, putting on “empowering red lipstick” and taking herself and her children out to dinner. “We talk about what this day means to us, not what it has meant in the past,” says Scott. Like Scott, no matter where you are on your healing journey, Valentine’s Day can still be tough. So why not go off script and nix the romance thing altogether? Take the pressure off yourself to make the day about a relationship with someone else and, instead, focus on the relationship you have with you. Well-meaning [and coupled-up] friends may invite you to come over for dinner or go see a movie, and it’s OK if you want to decline. You may not want to be around twosomes on this day and be reminded of what coupledom used to feel like for you—both the good and bad parts. Below, five self-care ideas you could adopt this Valentine’s Day. Bonus: No reservations required. 1. Look to the Future. Make a list of your goals for a future relationship—one that makes you feel safe, heard and respected. Just for the record, no one’s relationship is perfect, but healthy relationships do exist—ones built on mutual respect, love and a healthy regard for boundaries. Create a vision board of what your future partner might bring to your life by cutting out pictures from magazines that resonate with you. Or, nix the relationship thoughts altogether—create a vision board of what your future looks like for you and you alone—where do you want your career to go? Where would you like to live? 2. Write a Survivor Love Letter. Artist Tani Ikeda started the #SurvivorLoveLetter movement in 2015—the “anniversary” of her sexual assault happened to fall on Valentine’s Day. She encourages other survivors of assault and abuse to write love letters to themselves, honoring their own resilience and strength. Feel free to share yours or read others’ letters for inspiration and hope. 3. Celebrate Galentine’s Day. Leslie Knope of Parks and Rec fame coined this term in one episode and it—not surprisingly—has caught on. Get a few good friends together and celebrate your awesomeness, sans romance. Invite people over for a potluck dinner, watch your favorite funny movie or TV show (maybe the aforementioned episode!) and make sure you laugh—lots. It’s healing. 4. Get Outta Town. If you can afford it, take the day and explore somewhere new, be it a new city or a new country. Lose yourself in a museum, a historical tour or some charming shops. Travel not in the budget right now? Plan your dream vacation from home. Choose your ideal location and hotel, and map out the must-see stops. It may sound cheesy, but if you can dream it, you can achieve it. You’ll get there. 5. Slay as a Parent. With kiddos this Valentine’s Day? There are lots of fun things you can do—throw a family slumber party in the living room, let them take over the kitchen and make you any dinner they want (cereal and popcorn it is!). Here are 10 ideas. But, you could also use this day as a reminder that it’s never too early to start talking about healthy relationships. What do they look like? What are boundaries and how do you set your own? See our Children & Teens section for helpful articles to start the conversation. 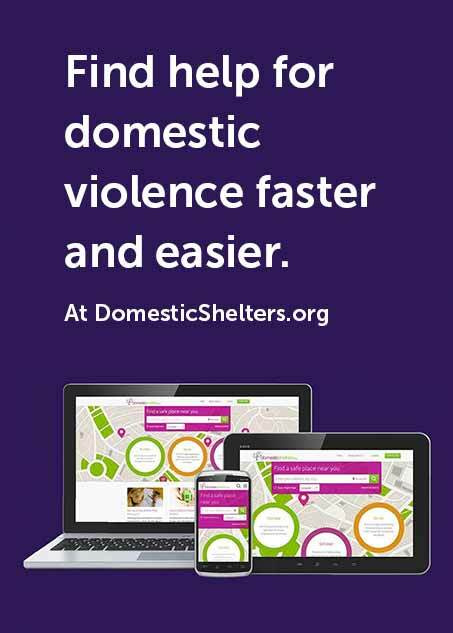 Are you a new partner of someone who has survived domestic violence? Read “How New Partners Can Help Survivors in Their Healing Journey” for tips on what to do, and what not to do, as you start a new relationship. If you need support on this day, don’t hesitate to reach out to a domestic violence advocate. You can find one near you here. Advocates are trained to help walk you through triggers or safety plan if today is the day you’re ready to leave your abusive partner.